The term CRM (Customer Relationship Management) is popping up in the business sector since the 1990s. It is the time when the marketing concept of conducting business activities has changed from transactional behavior to relational. And, that’s the time when CRM came up to their support enterprises as it directly contributes in the direction of customer benefits which ultimately leads to increased business profits. CRM basically deals with acquiring information regarding the requirements and complaints of the customers so that the business can work in the right direction and fulfill the customers’ expectations. Here, you will get detailed knowledge about the CRM and CRM software and how the CRM is important for business success in the current market. 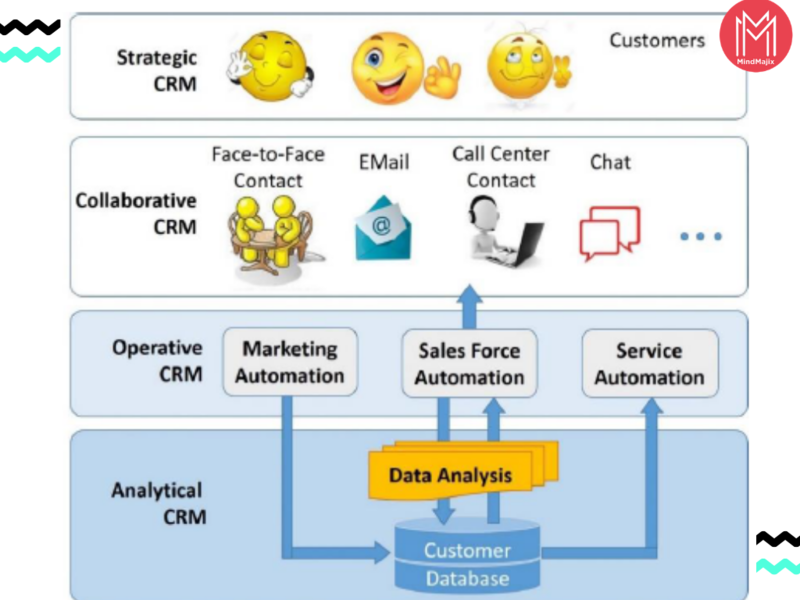 What is Relationship in CRM? Why Businesses or Organizations want Relationship with the Customers? What Are The Present Trending CRM Softwares In The World? CRM software is a system which provides the businesses with ease to nurture the relationships with their existing customers and attract the new ones. This software help business organization to bring new customers and retain them, and that leads to better sales and more profits. Boost sales opportunities: If you have information about the customers, you can enhance your sales strategies as per the customer desires and that helps you to convert your prospects into valuable leads. Better forecasting of sales: CRM improves your forecasting with a transparent sales pipeline. When we talk about CRM, definitely, the focus comes on the relationship. Here, the relationship exists between the customer and the business. CRM software basically helps in the minimization of the efforts of searching and correlating the customers. It also helps to visualize the needs of the customers effectively and that help organizations to build a better relationship with their customers. As per a marketing professor at Lindner College of Business, F. Robert Dwyer, the customer-supplier relationship evolves through five phases, which includes awareness, exploration, expansion, commitment, and dissolution. Below here is the detailed information about this customer-supplier relationship progression. Awareness: At the initial stage, both the parties, i.e., the customer and supplier come together to see each other as a possible asset to form a relationship. Exploration: Both the parties start to explore and get more details about each other’s capabilities and the business prospects they are following. In most of the cases, a trial purchase is conducted in which every party assesses the performance and involvement of the other party. If it is found that the deal is not smoothly done, relationship terminates at that particular stage to avoid the damages. 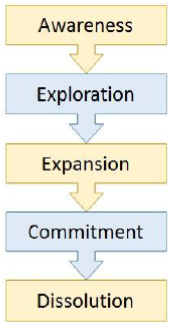 Expansion: With the expansion of relationship, many other factors are included like communication, development of rules, bargaining, along with forming expectations from each other for further commitments. Commitment: At this stage, the trust factor between the customer and the supplier starts developing and different deals are executed according to the norms and expectations. The transactions between both parties are increased with cooperation and mutual understanding. Dissolution: Not every relationship survives; some of them may end in a short period or even after a long duration. The termination of the relationships can be unilateral (one party ends the relationship) or bilateral (when both the parties end the relationship). The supplier can end the relationship if the targets are not being achieved. On the other hand, the customers can terminate the relationship if they face repeated service failures or if there is any change in the product requirement. Get ahead in your career by learning Salesforce through Mindmajix Salesforce Training>. Minimized churning of customers: It has been found that the customers do not usually churn because of the price but due to poor customer services. When a business maintains a better relationship with its customers and provides them with desired services , it reduces the chance of their churning. Relationship acts as a differentiation point: In present days, the business market is highly competitive, but if the business maintains a strong relationship with its customers, it acts as a key differentiator with the competitors. An indication of the repurchase: Strong relationship with the customers increases the chances to repurchase. If a customer gives a positive rating to a business, it will automatically attract other customers towards that business and also retain the present ones. Retaining the customers is affordable than looking for new ones: It is quite expensive to attract new customers as compared to retaining the existing customers. Ability to make new connections: A good relationship with the present customers helps to make new connections as if the customer is satisfied, he will always appreciate the services and encourage other people to purchase the same product. Also, organizations need to make sure that they are working on a steady flow of information which includes effective communication with the customers. Reduction in market rejection: Unhappy customers can easily spread the word about your bad service and easily create a lot of market rejection for your business. But if the business maintains an effective relationship with its customers, there’s no such reason to worry. A good relationship can increase the lifetime value of customers: According to the CEO of Urbanladder, a satisfied customer can create 2.6 times more profit than the unsatisfied customers. CRM works on some specific elements. 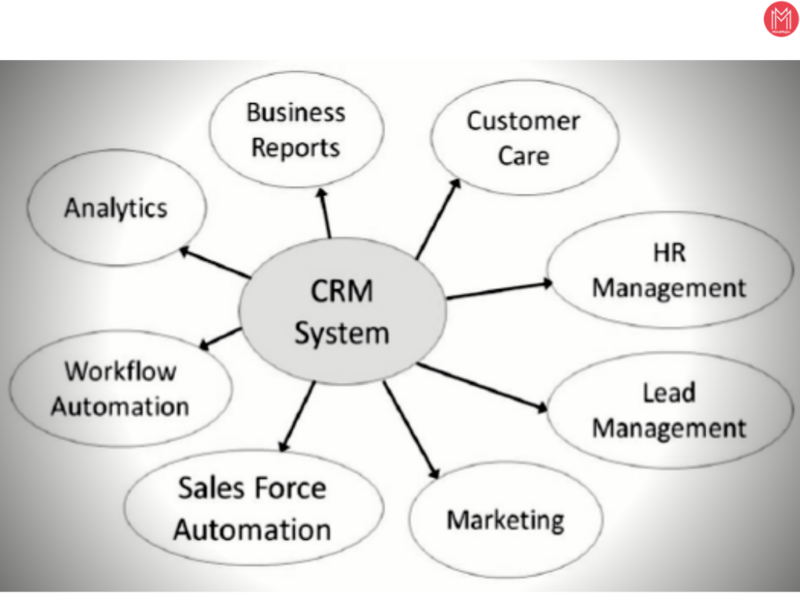 Below here are the elements of CRM which are collectively helping the businesses. Business Reporting: CRM includes working with customer care reports and proper management of the sales. With these reports, the business can gain proper insight into how daily work management and operations are going on. The proper reporting even makes it easier to do the forecasting about the future business steps to be taken. Also, the businesses save historical data so that they compare the performance. Customer Service: CRM must focus on gathering the customer information and maintaining a stable relationship with them . The main business departments like the marketing team and sales department must be aware of the needs of the customers and their complaints. Only then the business can work towards reaching the satisfaction level of customers by working according to their requirements. Analytics: This element of CRM includes working on a proper study of the data through which the changing trends of the market can be properly analyzed. This basically includes the creation of graphical representations, charts, and diagrams using the current data as well as the previous one. Analytics is an important element of CRM as it helps to get detailed knowledge about the ongoing patterns of the market. Human Resource Management: This element of CRM includes the effective use of human resource and the proper utilization of skills in specific situations. The main motive of Human Resource Management is to make sure that the professionals are assigned with the right job profiles according to their skills and intellectual. This is an important element that must be considered by small as well as big business organizations. The workforce should be hired according to their skills and experience so that they positively contribute to the growth of the business by delivering what exactly the business wants. Get ahead in your career by learning Oracle CRM through Mindmajix Oracle CRM Training>. Workflow automation: With workflow automation, the focus remains on streamlining all the processes of the business by maintaining proper cost cutting. This element is necessary to make sure any excess expenditure can be avoided and the workforce could be prevented from performing any repetitive tasks. Thus, we can say that workflow automation focuses on preventing the loss of time as well as extra efforts. Lead Management: As the name suggests, lead management supports in maintaining the proper track of the sales leads and also helps in focusing on the distribution. This element of CRM mostly benefits a business organization like marketing firms, sales industries, and customer executive centers. Lead management involves properly managing the campaigns, designing of the forms and even working on the final mailing lists. With the proper details about the purchase patterns, a business can successfully achieve its target of achieving maximum sales. Marketing: This element is also an important one as it works on the proper marketing of products and services. The marketing can be conducted by targeting only a specific group of people or by focusing on the general crowd to make them aware of the products and services. For effective marketing, observation and study of the behavior of potential customers are necessary. Increase the customer base: CRM not only focuses on managing the current customers but also work on increasing the customer base. CRM supports businesses to contact the prospects and help them to convert those into leads. Ultimately, a large customer base will definitely help business to enhance its profits and revenues. Enhance Workflow Productivity: CRM proves to be a very effective means to reduce the redundancies of the marketing campaigns and helps the business to proceed effectively with its strategies and client engagement. CRM software helps in the proper collection of the data and also enhance the use of knowledge management system through which the customer's inquiries can be addressed at a fast pace. Improve Business Sales: The ultimate goal of CRM is to enhance the sales of any business. By knowing the actual needs of the customers, a business can work on reaching the expectation levels of the customers to keep them satisfied and happy. Even the happy customers and their positive reviews can help the businesses to attract more customers which ultimately improves the sales of the business. Enhance customer satisfaction: Customer satisfaction remains the primary goal of any CRM campaign. The happy customers convert into the loyal customers which ultimately do the good word-of-mouth advertisement for your business. Better customer satisfaction can be achieved by working on customer engagement through different mobile platforms and social media websites. Also, acquiring feedbacks from the customers and dedicatedly working on their demands will also help in achieving customer satisfaction. Develop Your Skills on the Microsoft Dynamics CRM Training at Mindmajix. Start Learning! Analytical CRM: The analytical CRM provides the necessary support in determining the ways through which the customers can be served well. It includes the marketing, sales, top management, and the customer support department. The analytical CRM is responsible for thoroughly analyzing the customer data and acquiring better insight through which the current status of the business can be examined. This helps in decision making. Operational CRM: This type of CRM includes processes like marketing automation, service automation, and salesforce automation. Operations CRM mainly emphasizes on generating more leads and converting them into customers. Here are the types of operational CRM. Services automation: This type of automation has the main emphasis on retaining the customers by providing them the best service and maintaining effective relationships with them. It even includes listening to the complaints of the customers and fixing those in minimum time. Marketing automation: This type of automation emphasizes on approaching the customers with the products in the best way. These days, social media platforms and email marketing are the best way to reach this milestone. Salesforce automation: As the name suggests, it helps in automating the sales process of the business. It mainly focuses on setting standards in the organization and getting new customers and also dealing with the current ones in a better way. Strategic CRM: The strategic CRM concentrates on acquiring more and more knowledge about the customers through which their needs can be satisfied accordingly. The main focus is on maintaining long term relationships with the customers. Collaborative CRM: The collaborative CRM works on sharing the information about the customers within the different units of the business, which includes the marketing team, sales team, support, and the technical team. It helps in uniting all the units to emphasize on one-goal i.e., to use the information in such a way that the customers’ expectations can be reached. Earlier the customers were only bothered about the price, quality, and quantity of the products but now they have gone more information-centric. They have lots of questions before buying the products, thus, the businesses have to work on providing them with all the answers along with the best service. Who is an Empowered Customer? The empowered customers are the ones who have the control to buy any product they want, from wherever they want, by selecting it from a variety of options. Such customers always look for the best choices, by exploring the internet or collecting more and more information about the product. Reaching out for information: In this phase, the business reaches out to the customer with the information. Acquisition: It includes attracting the target customers towards the products and services. Conversation: It is the phase when the customer finally connects to the business to buy their product or service. Retention: In this phase, the business has to offer the customers with additional benefits to make them stay. Inspiration: Maintaining an effective relationship is necessary to inspire customers. Discount customers: These customers only transact where they find the best discount offers. Impulsive customers: They are not specific buyers but when they find something good and productive, they end up buying it. Loyal customers: These are the completely satisfied customers of any business who contribute to its profits. A customer is only the buyer of the product or any service while the consumer is the user of that particular product or service that the business offers. Technology-oriented: These customers give preference to the best technology and care less about the cost or performance. Such people are technology conscious and always look for something which is designed as per the latest technology. Value-oriented: These are the customers who seek products that are efficient and high-performing. Such customers believe in investing only if the product or service will prove to be effective in the long run. Cost-oriented: Such customers search for products with least cost even if they have to compromise with the quality and performance. Start the New relationship: It is beneficial to start a new relationship when the customer is of high potential. Secure the relationship: Save the relationship when you feel the customer is essential for better profits of the business. Re-engineering relationship: It is essential when it is felt that customers are not profitable for the current stage of the business. Improve the quality of the relationship: Keep trying boosting the customers on the value scale. End the relationship: If the customer shows no signs of future profits, end the relationship. Regain the customers: If the potential customer goes to the competitor, try to regain them back. The business works to serve the customers well. Thus, the focus of the organization limits on managing the customers in an effective way. The businesses should maintain their focus on pleasing the new customers. There are two perspectives through which the customers can be new. New to business: To attract any customer who is new to the business, organizations have to work on providing them several deals or offers through which they can gain a competitive advantage over the other competitors in the market. New to the product: This includes the customers who look for new products or services for their existing or new needs. When the organization is focused on business growth and profits, it is necessary to keep bringing on the new customers. These customers can be new to your business or the diverted ones who left acquiring services from any business. Product or Service Awareness: For bringing new customers, proper awareness is necessary. This can be done by conducting communication through airmails, emails, social media, etc. Also, advertisements and the zero cost offers will do a great role here. When focusing on customer development, the businesses have to look towards acquiring feedback from the customers and using it for defining and developing its products. There are four phases to it. Customer Discovery: This phase particularly focuses on evaluating the way through which the needs of the customers can be addressed. 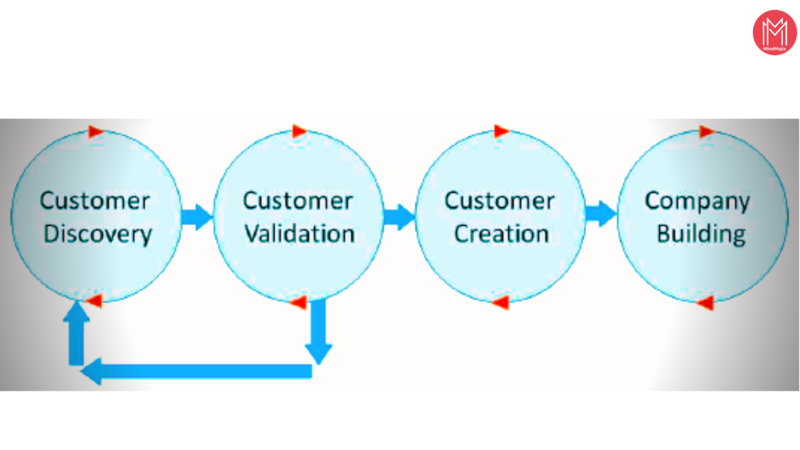 Customer validation: In this phase, the customers work on validating the product and see if the product will be able to solve their problems or satisfy their needs or not. Customer Creation: Then the business evaluates the feedback acquired from the customer and uses the information to strategize the product launch accordingly. Company Building: It includes transforming the ideas and executing them in the best way. Positive Strategies: These strategies help increase the chances to please the customers by understanding their needs, meeting them and providing them something more than they had expected. Negative Strategies: Clauses of switching costs and penalty can make customers feel trapped. If the businesses use these strategies, it can lead to negative word of mouth for them. Types of Customers for a business should retain: The business organizations must know which customers they need to retain. When it comes to retention, they need to retain the customers who are satisfied with the products and services being provided to them. Business should also retain the customers who can provide suggestions about innovation and also the customers who add value to the business and are capable of keep bringing more profits. 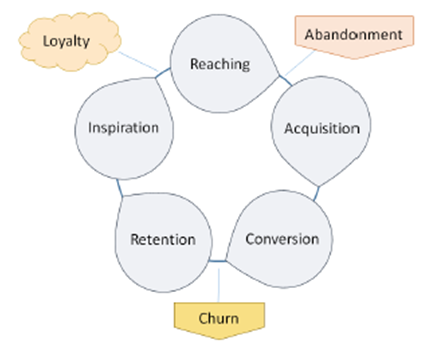 Available CRM Tools for Customer Retention: There are multiple tools which can be used here. Campaign management software: It helps in tracking the cross-selling and up-selling campaigns. Data mining: It supports in creating customized offers for the customers after analyzing their requirements. Event-based marketing: It helps in sending information to the customers about any event to be triggered. Strategies for Terminating Customers relationship’s: It is not necessary to carry forward all the customers. It is fine to terminate customers who are unprofitable. Which customer relationship does a business should terminate? Raise the Prices: This is a way through which businesses can offer a customized price. Either the customers will stay or leave. Re-specify Product: Businesses can change the design to different grade so that the unprofitable customer won't find it appealing and leave the customer base. Unbundle the offers and discounts: The customers can even be filtered by unbundling or bundling the components. The customer database is the collection of all the information related to the customers. These databases include the current opportunities, historic sales, and even future opportunities. The database can store information like the customer’s personal information, the records of the sales managers and the details about the products and services. The repository of the files collected in the database include various rows and columns in which customer data is stored. 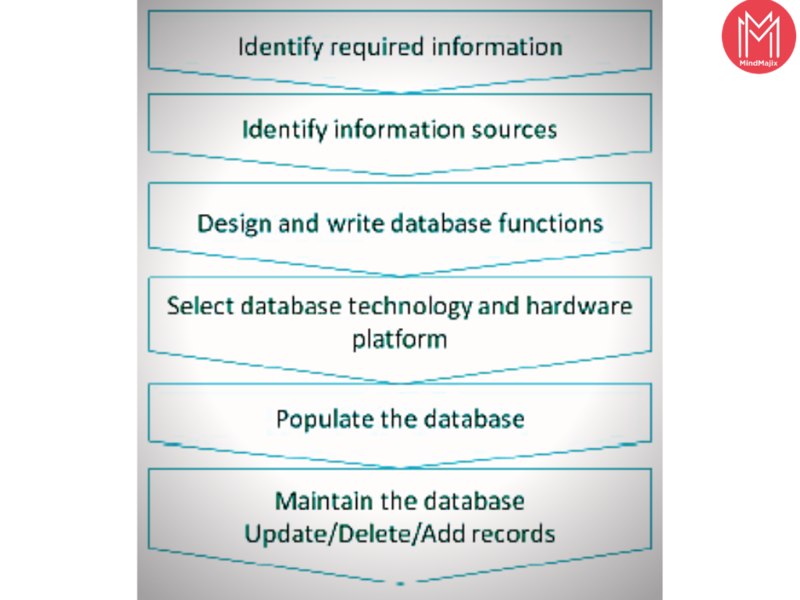 The figure below elaborates the creation and maintenance of the customer-related database. The customer data is mainly of two types: primary and secondary. The primary data is that which is acquired for the first time, while the secondary is the one collected before. The diagram below illustrates the position of CRM with respect to the database. According to it, analytical CRM lay closest to the database. Lead Management: CRM supports in managing the leads in the complete lifecycle, from when they were prospects to their conversion. Contact Management: CRM software helps in maintaining the contact details of the customers that can be easily retrieved. The data includes transactions, contact information, and even support interactions. Campaign Management: It helps in managing the campaigns of the business, from the creation to the delivery. Dashboards and Reports: The CRM software is also effective in generating accurate real-time reports in which the data is consolidated in the right manner. Email Tracking: It comes up with different CRM tools through which the business can enhance its email tracking. Tasks and Deals: The CRM software is capable of adding the tasks and deals automatically in the customer information. CRM for improved communication: The first and foremost benefit of CRM is that it brings ease to connect and communicate with the customers efficiently. CRM Enhances your customer service: It provides details about the needs of the customers and helps in enhancing customer service. Everyday tasks will be automated: The CRM software makes it easy to manage the data which can be retrieved easily. Greater Knowledge for Multiple teams: With CRM software, all the business units will have information about the customers so that they can work in accordance to fulfill their needs. Enhanced Analytical reporting and data: CRM software is really effective in providing real-time reports about the business. 1. HubSpot CRM: It is a free platform that comes with various tools which are proven to be essential for the business and teamwork. 2. Salesforce CRM: This software app helps the business to track the customer information and the interactions and helps in following more leads. 3. Fresh sales: This tool is designed with the idea to support the high-velocity teams to keep track of their contacts effectively. 4. Microsoft Dynamics 365: This CRM software is highly effective in forecasting sales, tracking opportunities and managing the contacts efficiently. 5. Pipedrive: This software proves to be a personal sales manager for different businesses and provides guidance to improve sales. 6. BPM online CRM: This software platform particularly concentrates on the business process automation. 7. amoCRM: This robust software supports the businesses in lead generation and enhancing the sales process. 8. vCita: This cloud-hosted software brings along various beneficial business management apps. 9. InfoFlo: The software helps in improving the business relationships with the customers by providing the ability to manage the contacts and efficiently track the leads. 10. Monday.com CRM: This system includes the benefits of CRM, project management and collaboration system altogether. Business Process and Strategy: It helps businesses to automate the customer management strategy. Hence, a business must have a clear understanding of the business processes and strategies before selecting the CRM software. Size of Business or Organization: Size of the business also matters as a small business goes for the tools which are easy to learn and are able to handle the different common tasks, whereas the large businesses will look for tools effective in handling complex tasks. Business Requirements: CRM software can work for domain-specific solutions like marketing automation, sales force automation, etc. So, the business must have clear knowledge about the business requirements. Budget: Before the vendor selection, it is important for a business to finalize the budget. System Integration: Business should check whether interfaces and the CRM software are integrating properly without much work. In the nutshell, it can be stated that CRM software is the major necessity for the businesses in present days. To earn better profits, it is important to focus on customer satisfaction and it can be done in the right way when the businesses acquire knowledge about the needs of the customers, and with CRM, it can be achieved easily.